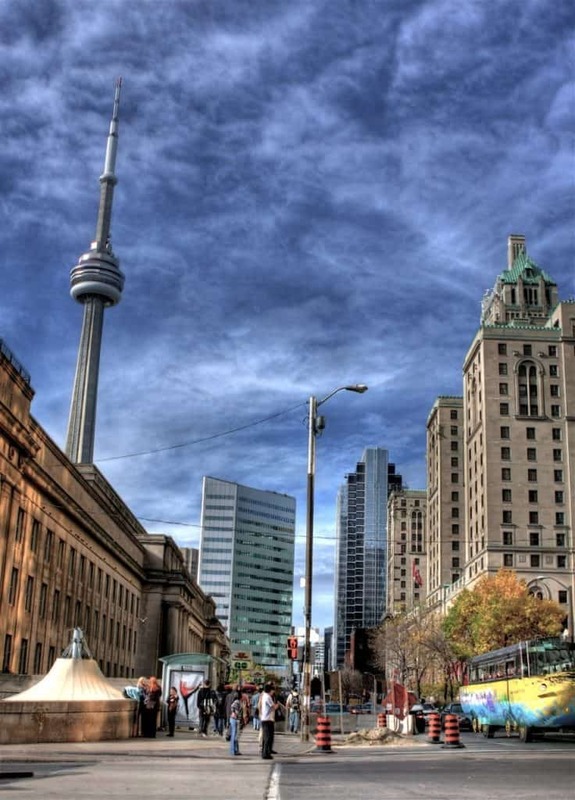 Toronto is a massive city, and happens to be the largest city and most visited city in Canada. It is also one of the most multicultural cities in the world. In fact, it is often pegged as ‘The New York City of Canada’. Toronto is split into six separate districts, with what is now known as Old Toronto being split into five very diverse and unique areas, each of which is then divided into smaller neighbourhood, some of which are cultural enclaves. It is a sprawling city with much to offer visitors, from architectural structures to famous annual events. At 553 metres, the CN Tower is not only the tallest building in Toronto, but it is also the tallest free standing building on the continent. It also happens to one of the modern Seven Wonders of the World. The CN Tower boasts the highest glass floor paneled elevator in the world, which lifts passengers up to its magnificent glass floored viewing deck. If you are afraid of heights you may not want to look down at the city from 342 metres above. View the city from even higher at the 447 metre high SkyPod, which offers insanely spectacular views. Those that really want to get their heart pumping should try SkyWalk, where participants are standing on a hands-free ledge towering over the city.